← Oh, Ship! It’s Your Birthday! This is such a fun stamp set! 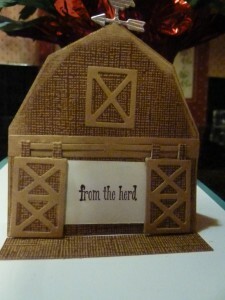 This is NOT my normal style, but I loved the animals in this set…and then I saw this new barn pop-up die. 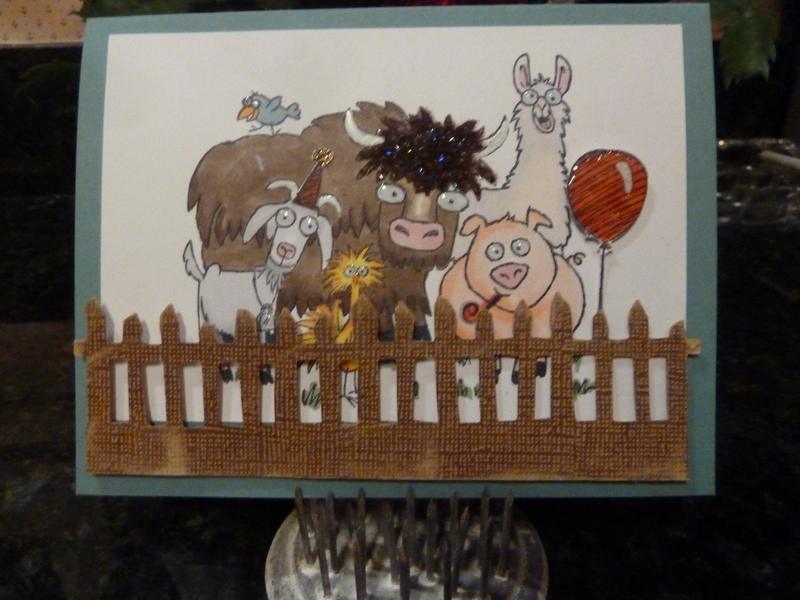 Let’s just say more than one person will be getting cards like this. This one went to my boss today for his birthday. The barn doors slide open and shut, so I die cut doors from Tyvek to glue to the back. Worked perfectly and those doors were opened a lot today at work! Together with the homemade carrot cake, he was a happy little camper! This entry was posted in Cards and tagged Elizabeth Crafts Pop-It Ups, From the Herd. Bookmark the permalink.